Fieldtex can private label your soft-sided case with your company's logo, or design labels to identify contents or areas inside the case. Additionally, graphics can provide your customers with your address, website, phone number, part-number, cage code, or an instructional message. During the engineering process, electronic artwork should be emailed with minimum 300 dpi as a eps, tiff, jpeg or pdf. Your logo will look great on your custom case! Our design experts are ready to work with you to develop your specialized design. 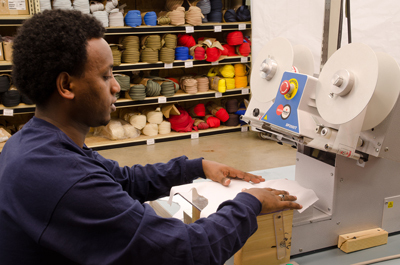 *If your logo has multiple colors, your options are embroidery, heat-transfers, or hot-paper transfer. Screen-printed logos can only be up to 4-colors.